Super Bowl Advertising: What and Who Defines a Winner? At the beginning of each year something unique occurs in the advertising world. In an era where viewers use the latest technology to block and avoid most commercials, even the most avoidant advertisement public turns in anticipation to the Super Bowl, not just for the football but for the game’s commercials. 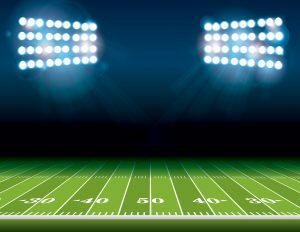 While the action on the field remains the most attractive aspect of Super Bowl Sunday, the commercial breaks enjoy an equal share of the game’s viewer attention and anticipation. With mega numbers of fans tuning into the big championship game, broadcasters command as much as $5 million dollars for a 30-second commercial time slot. Takers line up to eagerly pay the cost to entertain the fans and, hopefully, motivate them into buying their wares. Other major sporting events, such as March Madness, the World Series and the Olympics successfully gather together millions of watchers but the business of advertising for those events pales both in cost, creativity and participation in comparison to the NFL’s Super Bowl. 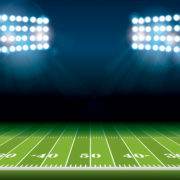 At the conclusion of each year’s game, while sportscasters recount the maneuvers, plays and players on the field, marketing and media pundits pour over the commercial line-up to determine which advertiser scored the most points with viewers. The competition is intense, and with the cost to play the ad game so high, failing to make a play effectively can relegate a company to bench-sitting status. What makes a successful Super Bowl commercial? Messages and approach vary widely among marketers and, while social and political slants are a regular staple, the content and purpose of the advertisement often takes a back seat to an entertainment element. Comedy generally garners the most appreciation from viewers followed by a generous emotional pulling of the heart strings. Characterizations, animation and pets tend to do very well, but dark, preachy social messaging can hit a sour note among the usually large diverse audience. So, who scored the most points and who received the most penalty yardage in 2018? The answer is: It depends. The Dirty Dancing ad was wildly popular for its comedic entertainment but left many viewers asking, “What are they selling?” Amazon’s “Alexa Loses Her Voice” spot was named most entertaining and best overall among marketing pros surveyed by Morning Consult for Ad Age’s first Super Bowl ranking, not just for its entertainment value but for brand effectiveness. For sci-fi fans, Sprint scored a touchdown for its “Evelyn” play call, and Budweiser got those among us who are suckers for an emotional play cheering for its “Stand by Me” performance on the field. Pringles advanced the variety of flavors ball for several first downs, and Danny DeVito’s portrayal of the Red M&M scored extra points. Pepsi, a long-time veteran of the Super Bowl advertising game, took fans down a Pepsi commercial memory lane, while Skittles turned the traditional Super Bowl advertising model in a whole different direction. At the final tick of the game clock, the chronology of the winners was to be determined by the various perceptions of the audience. 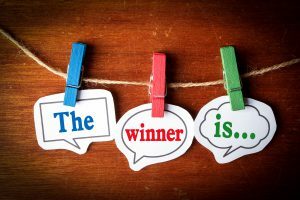 Ultimately, the winners in this advertising contest between the best teams in industry will be those who cross the finish line with increased sales, advanced brand recognition or a shinier corporate social reputation. Popularity and likability does not always translate into consumer action. If the intent is to motivate the fans in front of the video screens to make a purchase, studies show that Super Bowl ads, regardless of their cool factor, are very poor stimulators of consumer intent to purchase. Past studies by Genesis Media have found that 90 percent of consumer game viewers do not buy products based on Super Bowl ads, and 75 percent fail to even remember the previous year’s game winning ads. Advertising Benchmark’s ABX copy test scores indicate the overall results for the 2017 Super Bowl commercials were nothing to brag about. In fact, using standard ad effectiveness criteria, last year’s ads were a disappointment, at best. Overall scores of the last 5 Super Bowls generally fall short of ad norms. If generating a lasting effect was the Super Bowl advertisers‘ ultimate goal, the leader is Lexus, whose Super Bowl ad was a crossover with the forthcoming Marvel movie “Black Panther,” followed closely by Jeep. This according to ListenFirst Media, which calculated the change in the advertisers’ social media followings after the game, considering both the absolute gain and rise relative to the starting point. Bowl game advertisers should note, the same $5 million dollar spend would have bought 576 million mobile impressions. Just saying. http://junction-creative.com/wp-content/uploads/2017/10/logo_header.png 0 0 mark http://junction-creative.com/wp-content/uploads/2017/10/logo_header.png mark2018-02-22 09:30:322018-05-16 22:23:34Super Bowl Advertising: What and Who Defines a Winner? With the price of a 30-second Super Bowl advertisement consistently on the rise, advertising for the Super Bowl has never been an easy decision for marketers. The decision has been complicated in recent years by the political and social protests that appear to have the NFL viewer interests showing a downward trend. Add the serious concern over players’ head injuries, the 2018 Super Bowl marketplace may not be the promising investment for advertisers that it once was. Considering that a 30-second ad costs upwards of $5 million for the 2018 Super Bowl between the New England Patriots and the Philadelphia Eagles, the decision to spend potentially $10 million dollars for a Super Bowl campaign can be concerning to those charged with calculating the impact. A recent study, “Super Bowl Ads,” indicates that the value of Super Bowl ads can persist beyond the conclusion of the big game. The study, co-authored by Wesley Hartmann of Stanford University and Daniel Klapper of Humboldt University in Germany, shows that the benefits from Super Bowl ads actually persist beyond the game’s conclusion with increased sales during subsequent sporting events like the NCAA’s “March Madness,” NBA playoffs and MLB games. Further, the research finds that the gains in sales are much more substantial when the advertiser is the sole advertiser from its market category or niche in a particular event. Regardless of the falling fortunes, Super Bowl LII is expected to draw more than 100 million viewers with 70 percent of the Nation’s televisions tuned to the event. Last year the game attracted 190.8 million social media interactions from Facebook and Twitter. Check back after the Super Bowl to see which advertisements hit the mark!